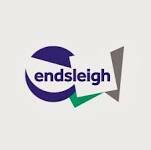 Endsleigh is an insurance broker owned by Swiss insurance giant Zurich. Founded by the National Union of Students (NUS) in 1965 to negotiate preferential rates for students, the company has since grown to become the top provider of insurance for students, graduate and young professionals, and is the only insurance provider recommended by the NUS to this day. The company has since expanded to offer insurance products to a wider market, including mortgages, investments and pension planning. You can get a quote for car insurance at the Endsleigh website. Endsleigh car insurance is marketed at students and young drivers, and is available as: comprehensive; third party, fire and theft; and third party only. All policy holders can enjoy negotiated savings on servicing and MOTs, but there are some benefits available to comprehensive policy holders, such as a replacement car in the event of an accident, and 24 hour windscreen and glass cover. As Endsleigh’s insurance is designed to appeal to cash-strapped students, any other benefits must be added to a policy for an additional cost, which depends on the annual premium. These include: legal expenses; breakdown cover; excess protection; key cover; personal accident cover; and hire car provision for up to 21 days in the event that your car is written-off or stolen. As well as their standard student car insurance, Endsleigh also offers a unique student bonus accelerator policy, which allows students to earn one year’s no claims discount in just six months, and a ‘Prestige’ policy, designed for high value cars, which includes European breakdown cover, fleet cover, a like-for-like courtesy car and your choice of preferred repairer should you make a claim. You can get a quote at the Endsleigh website. How much does Endsleigh insurance cost? The cost of Endsleigh car insurance will depend on a variety of factors, such as the make and model of the car, your driving history, where the car is kept and what benefits you want the policy to include, so it’s difficult to make generalisations about the costs involved. However, as Endsleigh is a youth-facing brand with access to a number of insurers, it’s likely that its insurance policies will prove good value for money compared to other major companies. Students may also be entitled to further discounts. What do Endsleigh’s customers say? According to more than 150 Endsleigh car insurance reviews on Reviewcentre.com, the company scores 1.4 stars out of five. Endsleigh’s car insurance webpage lists a 95% rating for their service at review site Feefo.com – at the time of writing all 300 of the most recent reviews related to Student Gadget Insurance so may not apply directly to their car insurance products. Endsleigh ranks 20th on the Which? list of recommended car insurance providers, scoring a 56% customer rating and a 67% official Which? rating, giving an overall score of 62%. According to Defaqto, an independent researcher of financial products, Endsleigh car insurance has earned three stars, meaning it’s ‘a standard product providing an average level of features and benefits’. Meanwhile, on Fairer Finance, which rates brands based on factors such as customer happiness, trust, complaints and transparency, Endsleigh scored an overall 23%, putting them in 33rd place on Fairer Finance’s list of 44 car insurance providers. "I liked the quick quote."